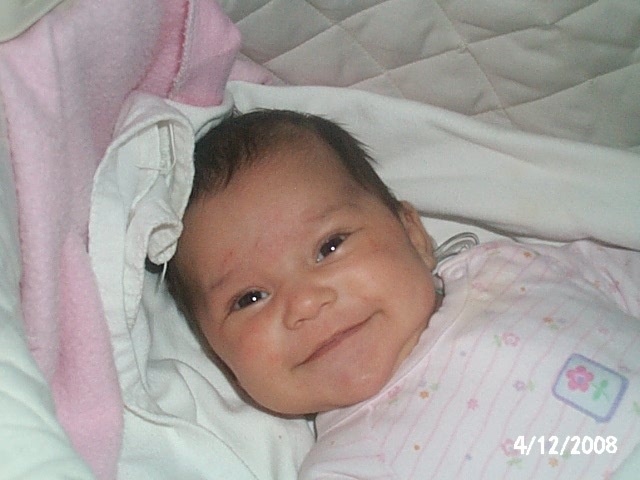 My husband Derek and I Amanda had our daughter in February 2008. She was born perfectly healthy and the doctors and nurses commented on how very strong, bright eyed, and aware for a new born she was. 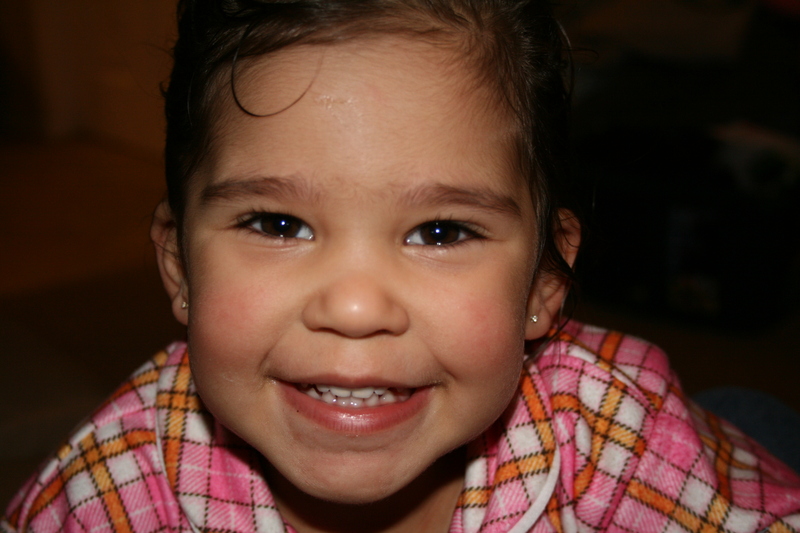 Chloe was meeting her milestones on time and had no allergies or health problems at all. When our daughter was 17 months old, we took her into the doctor to be vaccinated because our families were concerned that she was not immunized. My mother in law is an RN so she was very concerned. We took her in to our new family doctor and he looked her over and saw that she was healthy and developing well. The doctor ordered that my daughter be put on an aggressive vaccine schedule to catch her up. That day she received the Prevnar, MMR, and Pediacel 5 in 1 (DTaP-IPV-Hib) vaccines. They told us that they expect that she won’t be feeling very well, so to keep her up on Tylenol. The night our daughter received the vaccines, she had a very high fever and it lasted for about a week. She developed an ear infection and we noticed a quick and over all personality change in our daughter, which we just thought was because she was not feeling well since her vaccines. (We were told by the doctor that this was normal for after vaccines) She stopped giving her usual eye contact and just seemed distant and not happy like her normal self. Our doctor wanted us to take her in a month later to have her further caught up, but because of how sick the first series made her, we decided to hold off until she was 2. When we took her in at 2, we told the doctor about the changes we seen in our daughter and we were very hesitant to further vaccinate. Our doctor told us that the changes were probably a coincidence and even if they were caused by the vaccines, that it’s better than for her to be dead from measles or something else. We agreed out of fear, for her to receive the next series and so they gave her the Varivax, Menjugate, MMR, Pediacel 5 in 1 (DTaP-IPV-Hib). Holding our daughter down to be stuck with these vaccines at once was the hardest thing my husband and I have ever done. 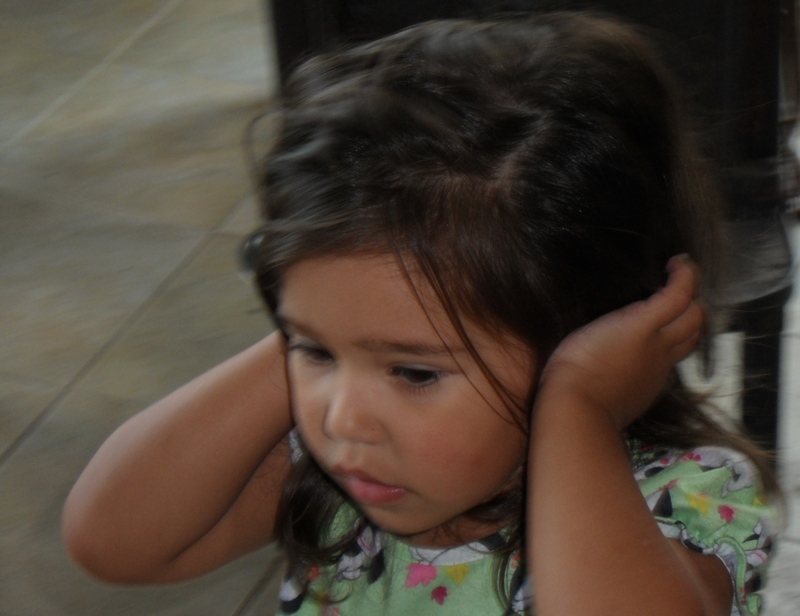 That night our daughter broke out into a very high fever that we gave Tylenol for again but it didn’t seem to help. She screamed and cried throughout the night. The next morning when she would try to stand up and walk, she would wobble and fall. She couldn’t even stand up on her own. 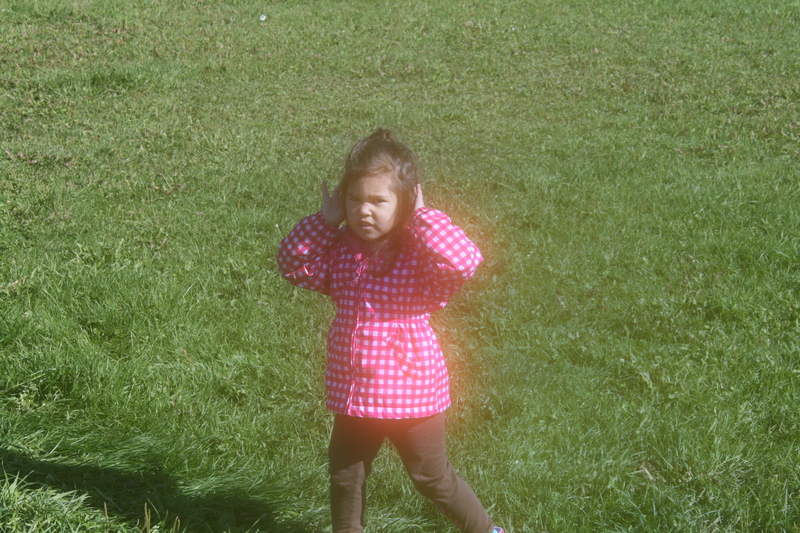 She was still screaming and was plugging her ears really hard constantly, and would not look at us. We brought her into the doctor’s office and they said that it all sounds normal and that she probably just has sore legs from all the vaccines she received, and that’s the reason she isn’t walking or standing. 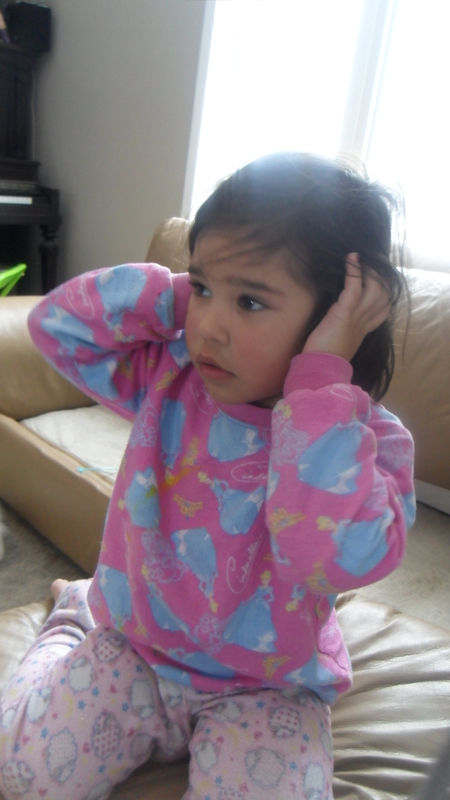 They also said she might have another ear infection, hence her plugging her ears so aggressively. They told us to continue giving her Tylenol and some prescribed antibiotics for her ears. 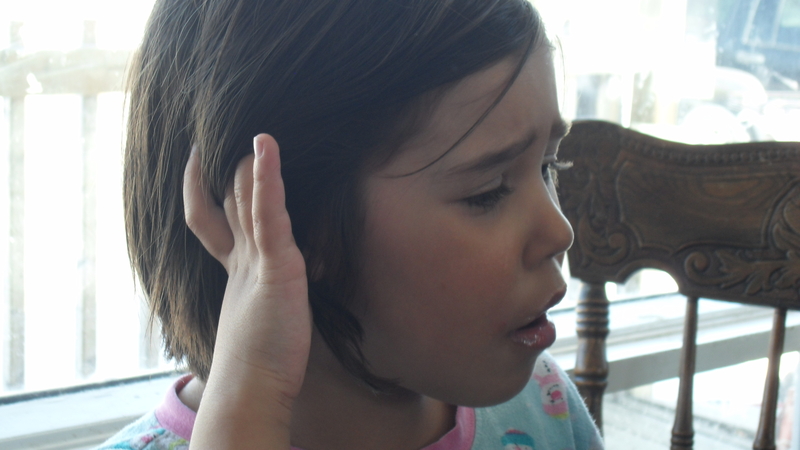 More than a month later, our daughter still didn’t stop with her obsessive and aggressive ear plugging even though she had no ear infection; she still was giving no eye contact and has had a complete and total personality change. She never laughed anymore and all she did was scream, cry and plug her ears. She no longer wanted to be cuddled or touched in any way. She stopped talking and all forms of communicating. The daughter we knew for the first 17 months of her life was completely gone. We brought Chloe back into the doctor to show him all the changes in her and all he had to say was that sometimes, for reasons unknown, children all of sudden start to show signs of autism around this age. He referred us to a pediatrician to receive an official diagnosis. We refused to ever vaccinate her again. Around a year later our daughter was diagnosed with Severe Autism Spectrum Disorder rating her at being more severe than 62% of children diagnosed with the condition, along with Global Development Delay. My husband and I were very open and adamant about knowing that it was the vaccines that induced our daughter into autism, and because of that our pediatrician tried to direct the cause to the fact that we lived in a rural area and she felt that our daughter should have been in daycare for socialization. She felt that the play groups that we took our daughter to during the week, playing with her older brother every day, and being around cousins and family a lot was not enough and if anything, that it is what caused our daughter to be induced into being severely autistic. She ordered that we put Chloe in daycare and be put on the wait list for ABA/ IBI services, as well as speech and occupational therapy, which we did. Chloe went to daycare for a while and continued with all her ABA and occupational/speech therapies for 2 years, with little progress, until she started IBI at around 5. Chloe slowly progressed for the first year and a half and by her second year, Chloe was able to be toilet trained during the day (with assistance) and was able to use some basic words to communicate a little better, along with using a pecs book. When Chloe was 8 we first heard about detoxing and the benefits of a diet change. After doing a bit of both, we started noticing a significant change in our daughter, as time went on. She stopped plugging her ears as much and started to laugh and smile again. We are slowly seeing Chloe returning to the person who we know she used to be and we fully believe that to be credited firstly to refusing to vaccinate her again, diet change/gentle detoxing and her IBI services. I had my oldest son 6 years before I had my daughter. He was vaccinated to the normal 2002 schedule and was happy and seemed to develop somewhat normal up to a year old but was sick all the time, had asthma, constant ear infections and tonsillitis. After his 12 month vaccinations he started to hit his head off the floor and any other hard surface near him. He had delayed speech, development and showed a lot of rage and frustration over every little thing. I never thought that vaccine had anything to do with it. At 15 there were a lot of signs that something wasn’t right with him and so I took him in to be evaluated. He was diagnosed with a language disorder placing him at the age of between a 7 and 11 year old. 2 years after we had our daughter Chloe, right around the time she was vaccine injured, we had another son Jacob. I was quite obviously nervous about vaccinating him, with what we had just experienced with our daughter but my husband and I thought that maybe Chloe had such a bad reaction because she had too many vaccines at once, also we thought at that point that my oldest son was vaccinated and “fine”. So we decided to delay until 12 months but only allow for the normal 12 month shots to be given. That night of the vaccines, he broke into a very high fever like my daughter had. Tylenol would not cut his fever at all so the doctor told me to try using Advil with Tylenol. We did this for close to a week until it seemed to break for 2 days and then in the middle of the night it came back really high again and he was having trouble breathing. (Lips were turning blue) On the way to the hospital he had what appeared to be seizure. After the seizure I noticed my sons face looked different. Half his face seemed to droop. Once we arrived at the closest hospital, they discharged him by ambulance to a bigger more equipped hospital. Once we arrived I mentioned that he had just had his vaccinations a little over a week ago to the pediatrician and had been very sick ever since. I also told her that our daughter had a really bad reaction to her vaccines. Her attitude changed with me immediately and she started to down play his symptoms and averted the cause elsewhere other than vaccines. She started asking me questions like if I smoked in the house (which I don’t even smoke) she ordered no blood test, MRI/CAT scan or anything other than a nebulizer with steroids, even though I told her about the seizure and droopy face. He spent 2 days in the hospital and was discharged with an inhaler and AeroChamber. They had nothing really to say and no real reasons to give as to why my sons face was drooping, why he was talking out the side of his mouth and had only half a smile, other than he could have Bell’s Palsy. They still ordered no further tests to be done. Jacob is now 8 and his face has not improved at all and his health hasn’t been the same since. He never had a single fever, or been sick a day in his life, other than a runny nose before his vaccines. We had a daughter and a son after Jacob and we refused to vaccinate them both. They have had zero developmental delays or health problems of any kind. No allergies, asthma or ear infections ever. Both my unvaccinated children are very smart and are both noticeably ahead of children in their same age group. The major over all differences with my first 3 vaccinated children and my last 2 unvaccinated children are irrefutable. The only thing I would ever take back in life if I could, is vaccinating my first 3 children.